As the Petula Clark 1965 classic goes, “Things will be great when you’re downtown.” These lyrics hold especially true in Montgomery County, Maryland. There are numerous downtown centers filled with delicious bites, superb shopping, community events, and fun for the whole family. 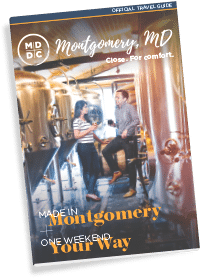 Be sure to make time to visit these hubs of downtown activity during your stay in Montgomery County. Making up 12.5-acres in the heart of the city, Rockville Town Square is a vibrant combination of public services, retail, and dining. Grab brunch at the restaurant First Watch, enjoy a beer flight at Gordon Biersch, or watch a game and savor the wings at Buffalo Wild Wings. 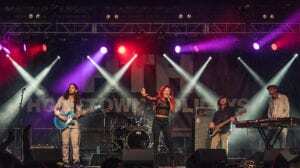 In the summer, everyone loves to kick back and hear local acts perform during the Friday Night Live outdoor concert series. In the winter, hit the ice on the Rockville Town Square ice rink, the largest outdoor ice skating rink in Montgomery County. 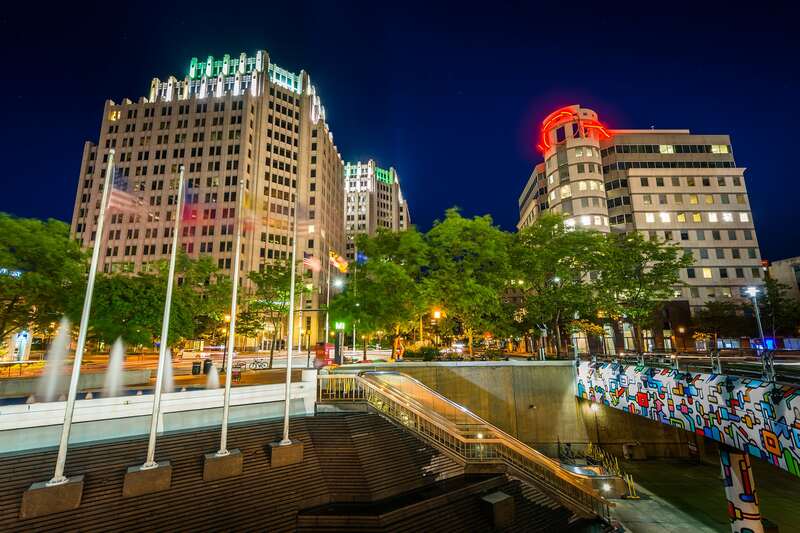 Located just two blocks from the Silver Spring MARC station, Downtown Silver Spring offers a diverse selection of restaurants – from Japanese cuisine at Masa Hibachi and handcrafted salads at sweetgreen, to flame-grilled chicken at Nando’s Peri-peri, and quick options like Chick-fil-A. Shop stores like Designer Shoe Warehouse, H&M, and LOFT. Or, catch the latest Hollywood blockbusters at the Regal Majestic Theater, a state-of-the-art luxury theater with plush seating. Downtown Silver Spring also hosts many of the area’s most popular events, such as the Silver Spring Jazz Festival. One of the newest downtown centers, Pike & Rose located in Northern Bethesda opened in 2014. Since then, it has become one of the hottest evening and weekend destinations in the area. Grab a meal at Summer House Santa Monica, which serves California-inspired fare and wines, or have a drink with friends at City Perch, a stylish eatery and bar that offers comfort food and cocktails. Enjoy a movie in an upscale setting with reclining chairs and pillows and blankets at the iPic Theaters. You can also head to Pinstripes for some grown-up bowling and bocce paired with exceptional Italian and American cuisine. Built around a small lake in Gaithersburg, MD, the RIO Washingtonian Center is one of the top places to shop, dine, or just go for a walk around the boardwalk. Catch a movie at the AMC Loews Rio Cinemas located in the heart of the downtown center. Then, have sizzling fajitas at Uncle Julio’s Mexican Restaurant or made-from-scratch American dishes at Copper Canyon Grill. In the summer, families can enjoy the outdoor concerts on the boardwalk and kids can ride the carousel located right on the waterfront. Just across the street from RIO is Downtown Crown, a burgeoning center with additional restaurant and shopping options! Bethesda Row is located at the intersection of Bethesda Avenue and Arlington Road in Bethesda, MD. The property includes Giant, sweetgreen, lululemon, Raku, Sassanova, Morley, Mon Ami Gabi, Kapnos Kouzina, The Apple Store, Aveda, Drybar, Equinox, Bluemercury, Warby Parker, Jaleo, Landmark Theatre, Uncle Julio’s, Williams-Sonoma, Urban Country, and Anthropologie & Co., among many others, as well as office and a residential community, Upstairs at Bethesda Row.